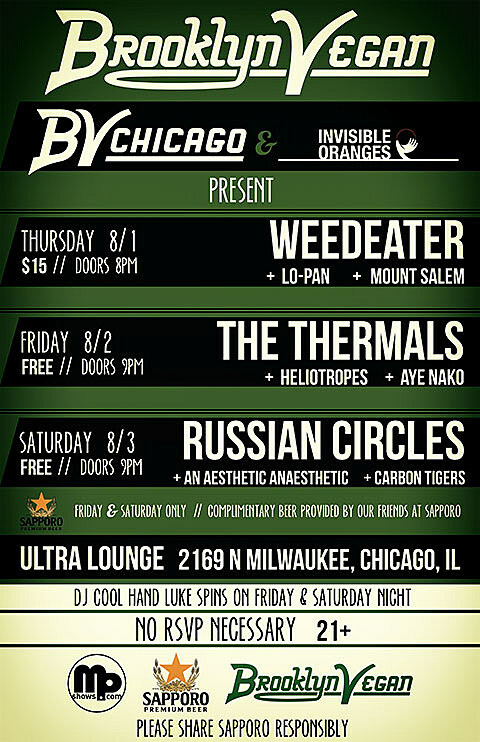 Weedeater, Lo-Pan, and Mount Salem play a BV Chicago/BrooklynVegan/Invisible Oranges-presented show at Ultra Lounge tonight. A whole slew of Lollapalooza pre-shows happen tonight, including Father John Misty, Queens of the Stone Age, and Hot Chip. Heading to Lollapalooza? Check out our Friday, Saturday, and Sunday previews.